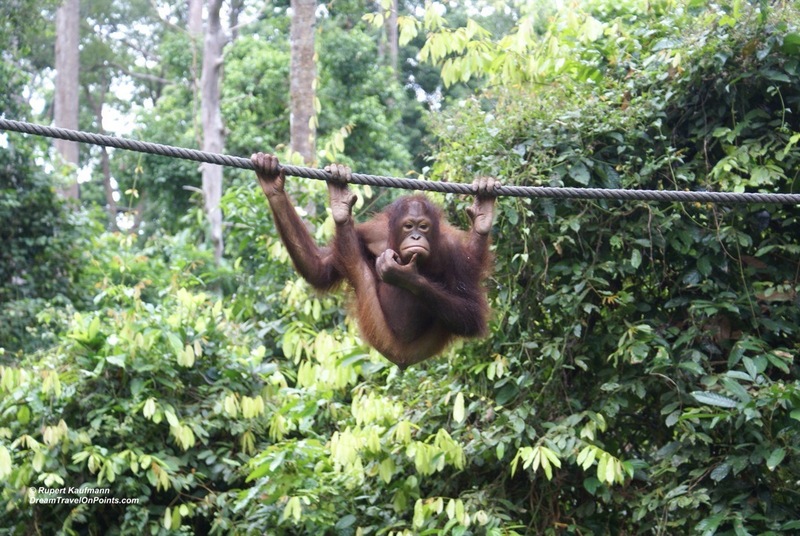 Seeing the orangutan at the rehabilitation center of Sepilok in Northern Borneo, Malaysia, is an amazing experience. Seeing them feed, play and observe you – while you observe them – left little doubt in my mind that they are our closest cousins with 97 shared DNA. To plan your own encounter with orangutans, check out my Destination Guide Kota Kinabalu! 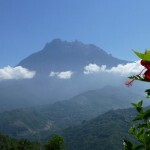 Most people visit Kota Kinabalu for its beaches or to explore the wildlife of Borneo in Sabah. 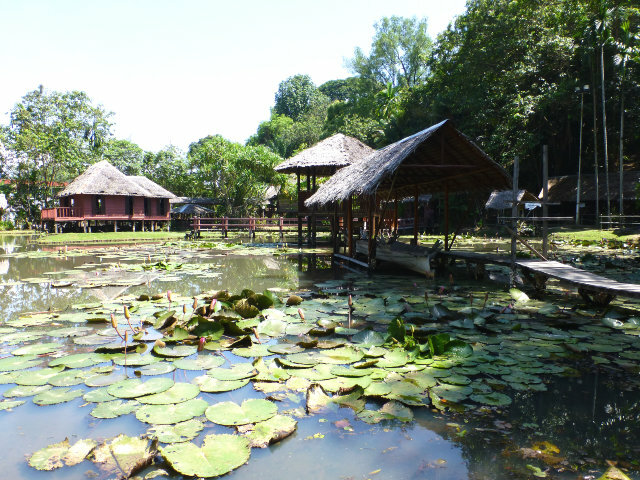 But in-between those wildlife adventures to Sepilok or Danum Valley, it’s worth checking out the local Museum to learn about the cultural history of Borneo – it’s well worth an afternoon of your time! 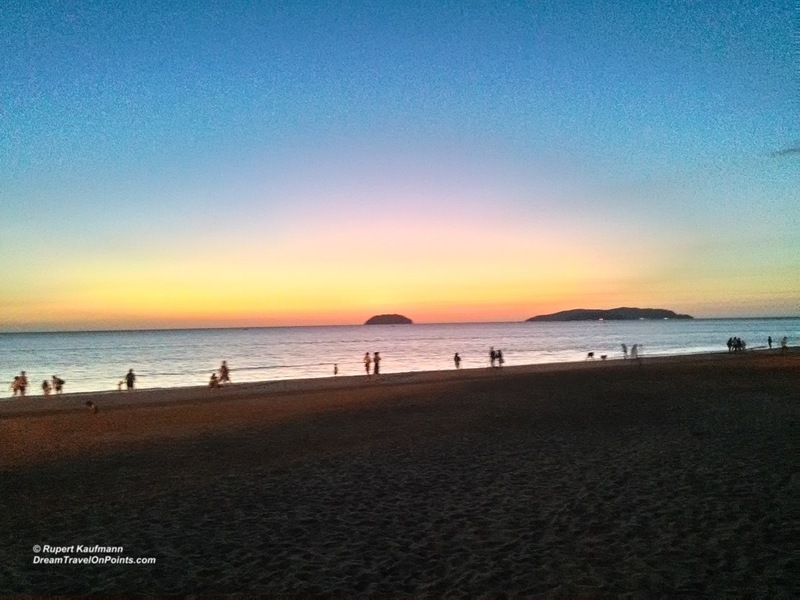 Kota Kinabalu is the gateway to the untouched nature and wildlife of Northern Borneo. And while the trips to the Orang Utan rehabilitation center, the remote Danum Valley or Mount Kinabalu are all high on my list of recommendations, the city itself has a lot to offer: with a good museum, sandy beaches and island hopping tours, you can easily fill your days. And the views along the city’s waterfront are stunning anytime of day! 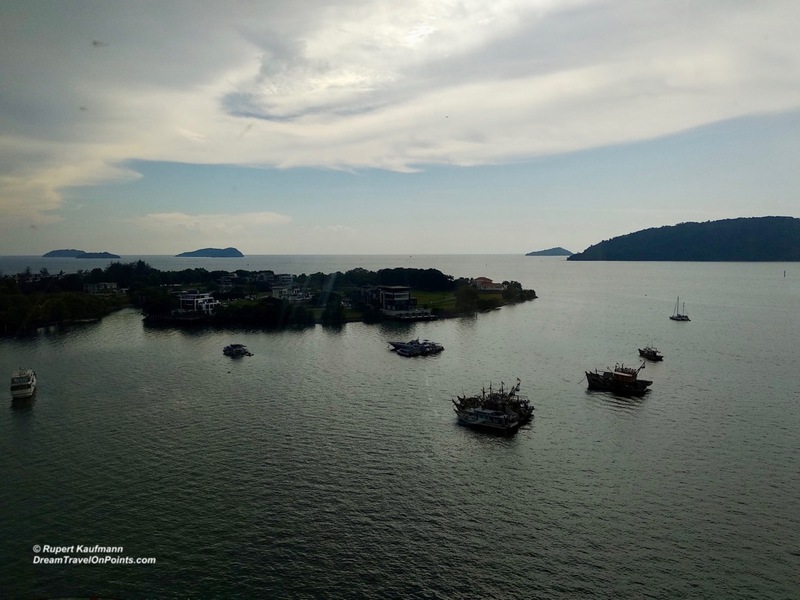 Check out my Destination Guide Kota Kinabalu and start planning your own adventure to Borneo! The orangutans share 97% of our human DNA, making them our close relatives, and the best place to see them is on Borneo. You can see them in the wild at the Semenggoh Wildlife Center, where orphaned or injured orangutans are rehabilitated and released into the wild! It’s a fantastic experience and easier than most adventures to see exotic wildlife. Check out my Guide to Kuching to plan your own wildlife adventure to Borneo! Borneo is known for its nature and wildlife, but it also has some very nice beaches to relax on. 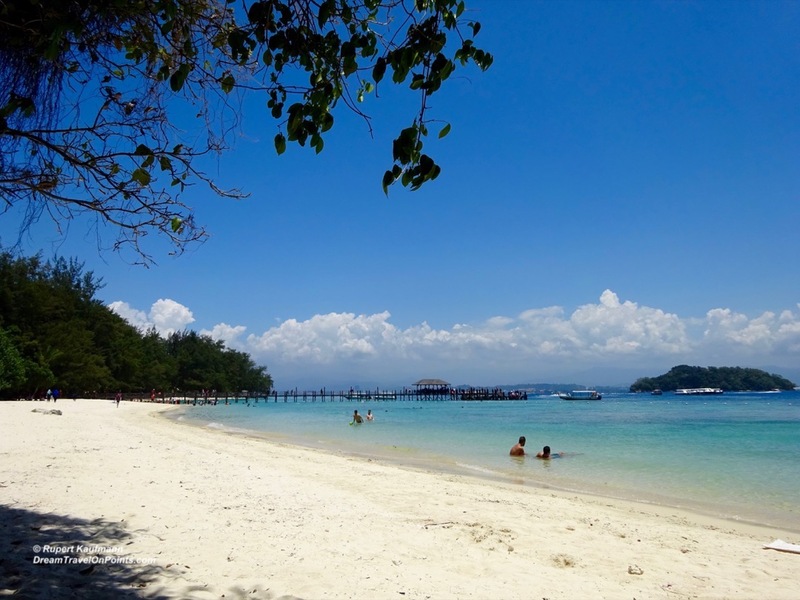 A popular destination for soft sand and warm seas is Tunku Abdul Rahman National Park off the cost of Kota Kinabalu! It’s National Park Status protects it from over development, but not from big crowds, so make sure to go for a nice walk on the islands to find your own private beach! Read my Guide to Kota Kinabalu to plan your own Borneo wildlife & beach getaway! 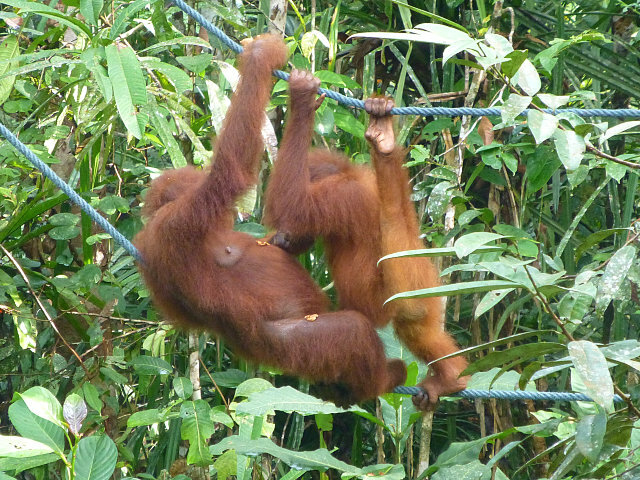 Borneo is called the “last frontier” and it has the wildlife to prove it! 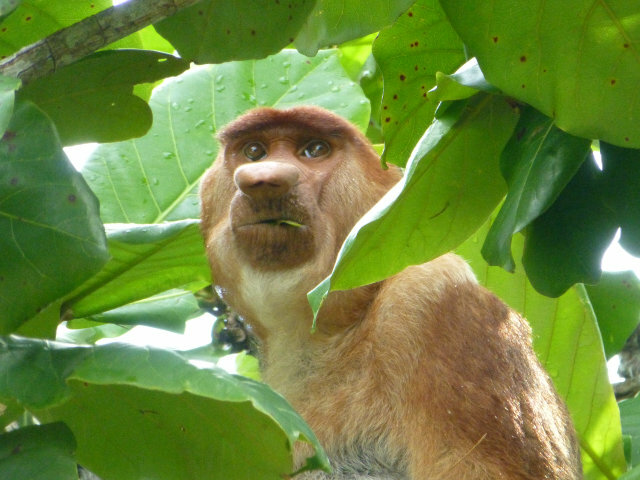 The proboscis monkeys are only found on Borneo. And while they are hard to find, they are easy to identify with the pronounced nose. They love the leaves of certain trees and thanks to our knowledgeable guides, we were able to spot them several times in Bako National Park. Check out my Guide to Kuching to plan your own wildlife adventure on Borneo!